Less than one year after Chinese shipyard workers completed the nation’s first domestically made aircraft carrier, workers were already toiling away on what will one day become China’s third homemade carrier. The three carriers built by China exclude the Liaoning, a decades-old Soviet ship Beijing bought from Ukraine and refurbished to practice carrier operations. 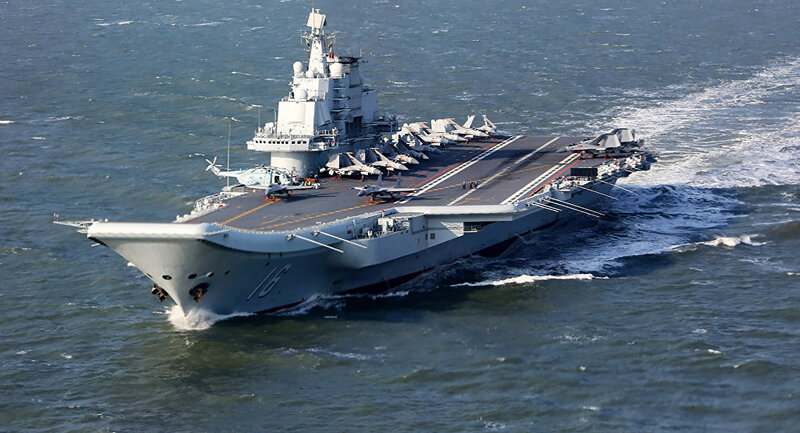 Beijing's Type 001A carrier took to the open seas for testing last April, while the Type 002 is slated to hit the waters within months, the Global Times reported Friday. "For sure, the speed is impressive, as it has only taken 10 months after the drydock was flooded for the first time in April till the builder's trial and acceptance trial at sea, to be conducted in February 2018," a military expert told the news outlet. The Type 002 is reportedly very similar to the Liaoning and features an upward ramp at the bow to help aircraft take off. The new Type 003 plans to push the boundaries of Chinese naval aviation. 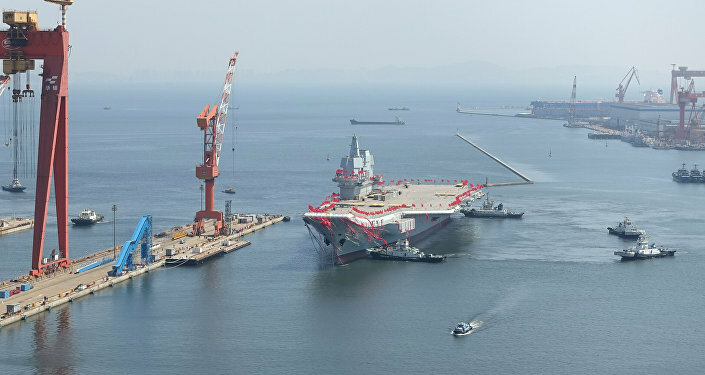 "Building the new carrier will be more complicated and challenging than the other two ships," a military source told the South China Morning Post. Construction on the Type 003 is taking place in the Shanghai Jiangnan shipyard, the South China Morning Post reports. "The shipyard is still working on the carrier's hull, which is expected to take about two years," the official told the Post. One goal for the Type 003 is to use an electromagnetic launch system, a system the US Navy has spent years perfecting. The US Navy completed its first successful test of an F/A-18 Super Hornet taking off with electromagnetic propulsion — versus a ski-jump ramp or steam propulsion — just last year. China's ambition is to have four carrier groups operating with the People's Liberation Army-Navy by 2030. The Liaoning is currently the only carrier in the fleet, but the Type 001A is expected to go into full service by the end of 2018.